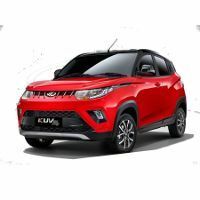 Mahindra has launched its much awaited compact SUV KUV 100 at an attractive price tag. The petrol engine of the car is powered by a 1.2 litre aluminium engine churning out the maximum power of 82bhp at 5,500rpm and 115Nm of torque at 3,500rpm. On the other hand, the diesel variant gets a mFalcon D75 engine with a displacement very close to 1198cc delivering power output of 77bhp at 3750rpm and torque output of 190Nm at 1750rpm. Fitted with a powerful engine, the car delivers an ARAI certified fuel efficiency of 25.32kmpl for diesel engine and 18.15kmpl for the petrol engine. Mahindra KUV 100 comes in four grades including K2, K4, K6 and K8 with various attractive color options namely Fiery Orange, Flamboyant Red, Dazzling Silver, Aquamarine, Pearl White, Designer Grey and Midnight Black. So, KUV 100 will definitely chase down the Maruti Swift, Hyundai Grand i10 and Maruti Dzire. Mahindra KUV100 is available in 26 variants. View below listing of variants based on their fuel type. Upcoming variants of KUV100 are also listed here. * Prices of Mahindra KUV100 car indicated here are ex-showroom price not the on road price of KUV100. Price list is subject to change and for the latest Mahindra KUV100 India prices, submit your details at the booking form available at the top, so that our sales team will get back to you. Mahindra KUV100 mileage mentioned here is based on ARAI test drive and not from KUV100 review by vicky team. "The prime specs of Mahindra KUV100 are listed here. The overall length, width of the car should give you an idea about parking space it require. The ground clearance (lowest part of the car to the ground) will give you the measure of water wading capability and confidence of KUV100's capability to run over potholes and speed breakers. However GC (ground clearance) won't tell everything. Other important factors like approach angle, breakover angle and departure angle is required to assess the cars' ability to run in rained indian roads and light off road tracks.Engine specs of KUV100 are also listed here. With the power (in bhp) and torque (Nm) figures the most important ratios - power to weight ratio of KUV100 and torque to weight ratio. The displacement (in cc) is the measure of cubic capacity of the engine. Earlier there was a notion, larger engines produce more power and torque however with the invention of advanced technologies this is no longer true." 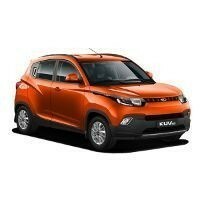 I want to know KUV100 K6 5STR in CSD also available. CSD through on road what prize.